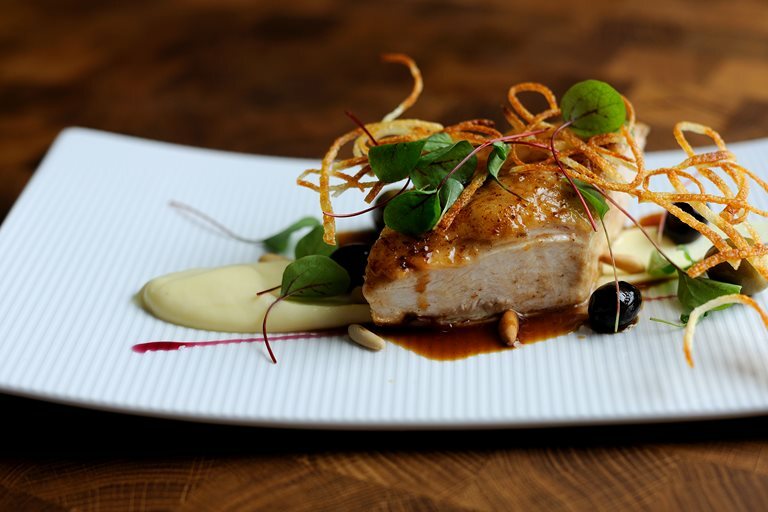 Roast chicken breast recipes are commonplace but this offering from Chris Horridge truly stands out. Juicy chicken breasts are combined with creamy potatoes and pine nuts to create a warming, succulent dish that would make an amazing break from the usual Sunday roast, or a magnificent chicken dinner. To plate, spoon some of the potato purée onto the plate. Place a small mound of the spinach in the centre of each plate.